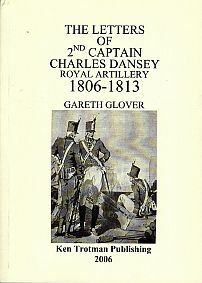 Second Captain Charles Cornwallis Dansey Royal Artillery initially served with Captain Richard Buckner’s 6th Company of the 8th Royal Artillery in Sicily in 1806 and was involved in the capture of the Ionian Islands in 1809. Whilst stationed in the Mediterranean he also took the opportunity of playing the part of the great ‘English tourist’, climbing Mount Etna, and visiting a number of the classic sites of Ancient Greece. Shortly after his return to England he embarked at Portsmouth on 18 December 1811, landing at Lisbon on 10 January 1812. There he joined Captain Gardiner’s company, 8 Battalion RA. 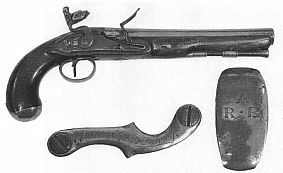 He served with this company, which was equipped as a 9 pounder field battery, at the siege of Badajoz and San Sebastian and at the battles of Salamanca and Vitoria. He was eventually appointed to 2nd Rocket Troop RHA and fought at the Battle of Waterloo, during which he led a rocket section in an attempt to prevent the French from pushing forward; he was wounded early in the adavance but the section did not retire. He continued to serve as Second Captain of the Rocket Corps until 1824 and commanded it as Captain from 1828-1836. From 1839-1846 he was Chief Fire master at the Royal Laboratory. He died in London a Colonel on 21 July 1853. These letters will prove of enormous interest to anybody interested in the role of the artillery during the Napoleonic wars.